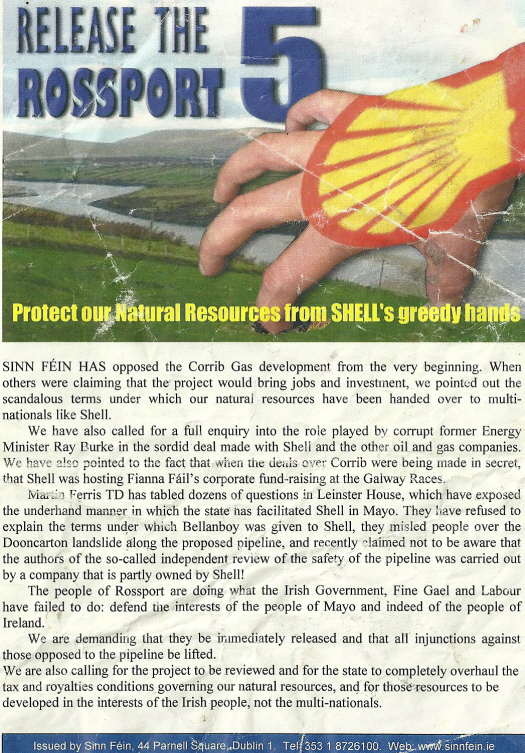 From 2006 a leaflet from Shell to Sea “Protect Irish Natural Resources”. 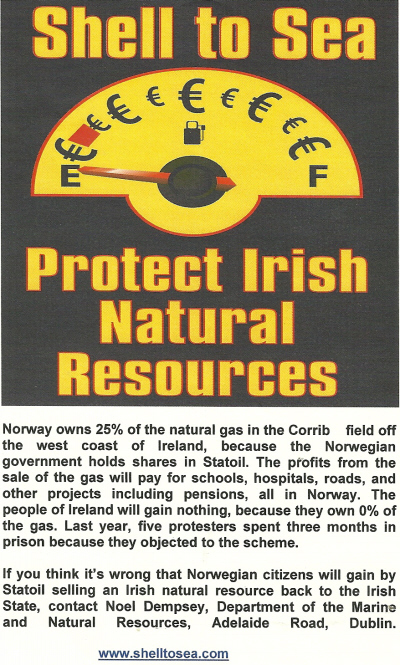 From 2005, a Justice for the Rossport 5 leaflet from Sinn Fein. 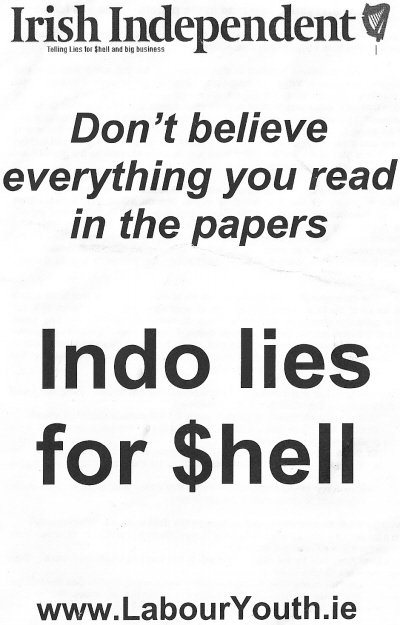 The leaflet cites a poll on the Shell To Sea Campaign for the Indo and tries to show bias in the questions asked etc. 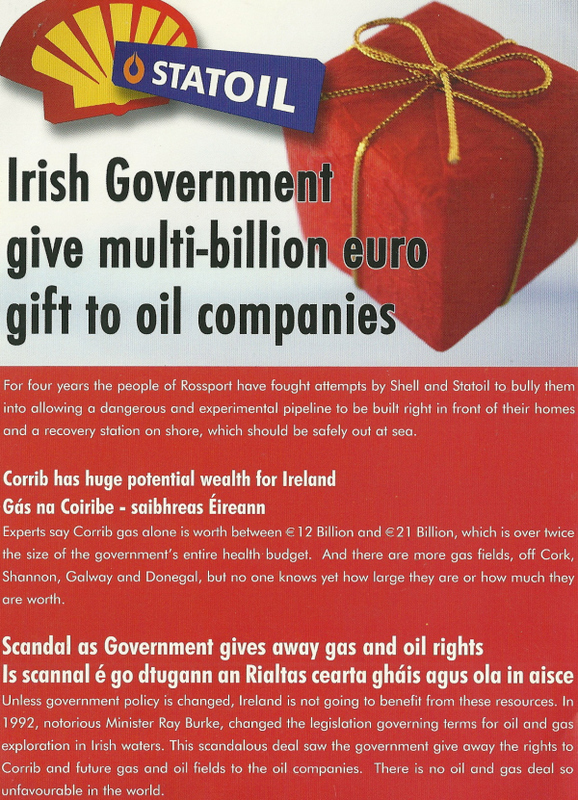 From 2005 a leaflet from Sinn Fein urging the release of the Rossport Five. The Rossport five were James Brendan Philbin, Philip McGrath, Vincent McGrath, Willie Corduff and Micheál Ó Seighin. 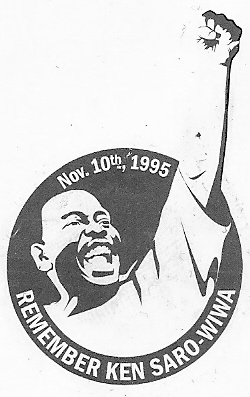 They were jailed for civil contempt of court after refusing to obey a temporary court injunction forbidding them to interfere with work being undertaken by Shell on their land. 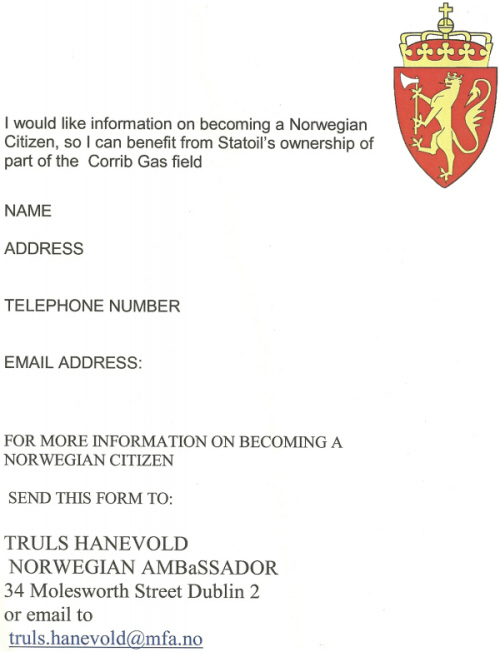 A letter produced by Shell To Sea aiming to show the differences between Norway’s energy policy and our own. First off thanks to the sender. 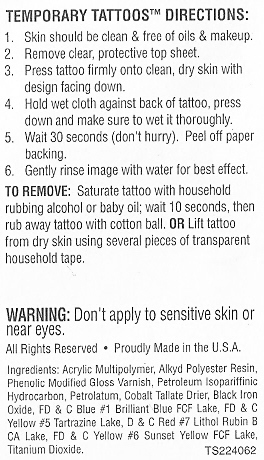 I’ve political related pens, blow up hammers, sponges , shatter balls, beer mats , wristbands, diaries, stickers, key rings et al but this is the first Temporary Tatoo. 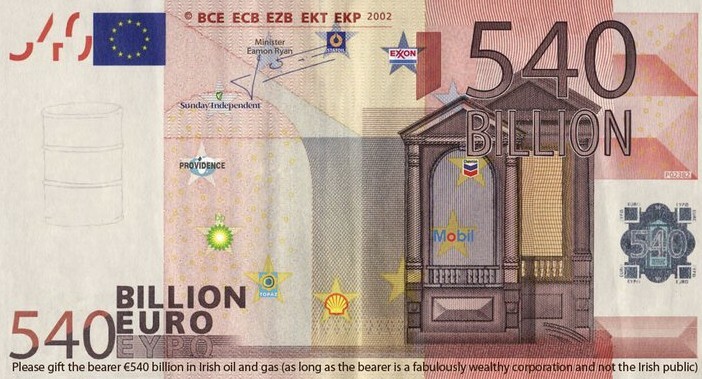 Via the excellent Come Here to Me a €540 Billion Euro Bank Note distributed by members of the Shell to Sea Campaign in Dublin earlier this week.